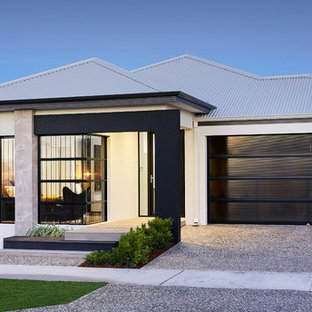 This is an example of a contemporary one-storey white exterior in Perth with a hip roof. Photo of a tropical two-storey white exterior in Cairns with a hip roof. 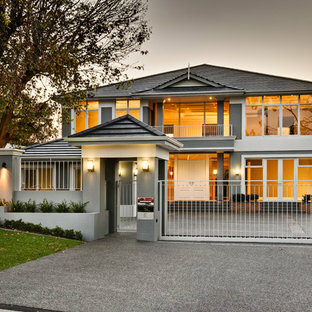 This is an example of a contemporary two-storey exterior in Melbourne. 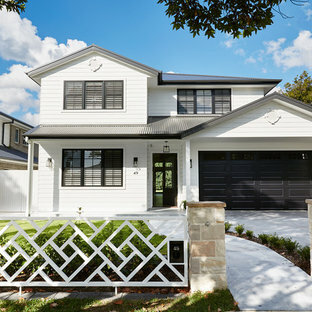 Large transitional two-storey white exterior in Sydney with wood siding and a gable roof. Design ideas for a mid-sized industrial two-storey exterior in Perth. 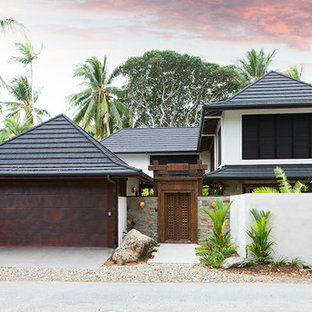 Inspiration for an asian two-storey black exterior in Perth with mixed siding and a hip roof. 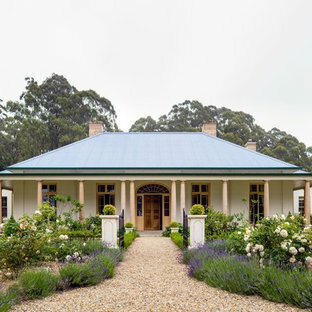 Design ideas for a transitional two-storey stucco grey exterior in Perth with a hip roof. Mid-sized traditional one-storey stucco beige exterior in Wollongong with a hip roof. 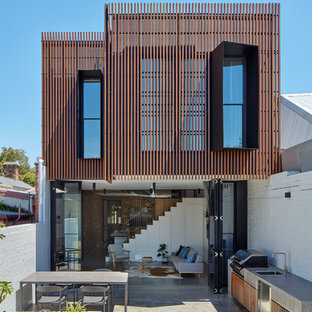 Inspiration for a modern two-storey white exterior in Sydney with a flat roof. 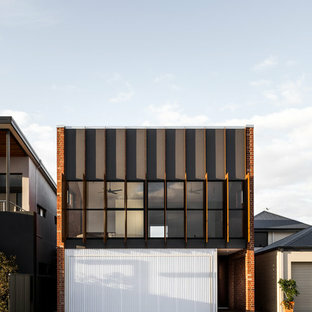 Inspiration for an arts and crafts two-storey black exterior in Sydney with a hip roof. 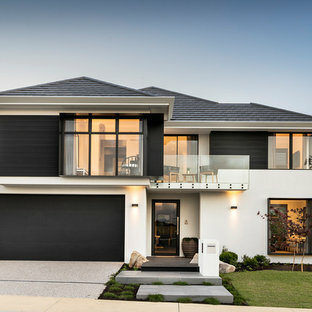 Design ideas for a contemporary one-storey brick white exterior in Melbourne with a flat roof. Transitional two-storey stucco grey exterior in Sydney with a hip roof. Part of the brief of this house was to revitalise and expand the home to cater for a rapidly growing family and its modern needs. The result – a six bedroom family home that can once again stand proud and be admired for the next 100 years. This is an example of a modern white exterior in Ottawa with a flat roof. Design ideas for a contemporary two-storey grey exterior in Edmonton. Upside Development completed an contemporary architectural transformation in Taylor Creek Ranch. Evolving from the belief that a beautiful home is more than just a very large home, this 1940’s bungalow was meticulously redesigned to entertain its next life. It's contemporary architecture is defined by the beautiful play of wood, brick, metal and stone elements. The flow interchanges all around the house between the dark black contrast of brick pillars and the live dynamic grain of the Canadian cedar facade. The multi level roof structure and wrapping canopies create the airy gloom similar to its neighbouring ravine.